Published: Mar 16, 2016 to ? 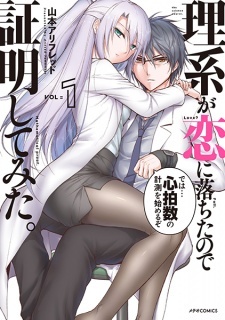 In the laboratory where individual researchers come together, an experimental science love comedy occurs, drawn by Yamamoto Alfred. Adaptation: Rikei ga Koi ni Ochita no de Shoumei shitemita.